WHAT EXACTLY IS THE BET AWARDS EXPERIENCE? For years, you have watched the excitement, the concerts, the celebrities, the parties and all the action from your television at home. The 2019 BET Awards will be different What if you can experience everything LIVE and in person. For the first time ever, you get to travel to Los Angeles, California and get 3 days worth of tickets to witness and be apart of the excitement. You can't miss this weekend. There will also be Comedy; Film Fest; Seminars; Fan Fest, featuring the BET pavilion and a food festival; BET Grammy Museum exhibit; and the hottest industry parties. It's a weekend you don't want to miss. 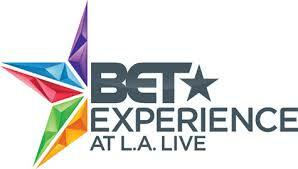 BET Experience limited-edition VIP packages are the only way to receive insider access around BET Awards weekend. The packages are the only way to purchase tickets to the BET Awards; the Super Bowl of Black entertainment. In addition to the best seats at STAPLES Center shows, VIP packages include BET Awards Red Carpet access, VIP entrance to all events, invites to VIP-only events and after-parties. Exclusive:The 2019 BET Experience presented by Coca-Cola is a star-studded weekend you don�t want to miss! With all-star performances at STAPLES Center... Plus, purchase a VIP package and you attend the biggest and baddest awards show of the season - the BET AWARDS live from Microsoft Theater at LA LIVE! WHEN ARE THE EXACT DATES? It�s all happening JUNE 20 - 23, 2019 so don�t miss out! WHERE WILL THE BET EXPERIENCE TAKE PLACE? Tickets purchased are for specific concerts. VIP packages and 3-night STAPLES Center Concert Series packages provide access to multiple shows and stages. 800 W. Olympic Blvd, Los Angeles, CA 90015. WILL THIS GET ME INSIDE THE B.E.T AWARD SHOW ITSELF? The BET VIP PASSES are the only tickets that will get you in the official award show. WHAT HOTELS ARE THE CLOSEST TO THE EVENT? The host hotels are the JW Marriott Los Angeles and Ritz-Carlton, Los Angeles both on the L.A. LIVE campus.